Hi, my darlings!! I'm really, really excited...and a wee bit nervous about today's post! Why you ask? Because it my very first cosmetic review! As most of my friends know, along with being a polish addict, I'm a HUGE makeup junkie--there are piles of palettes, dozens of lippies and any number of mascaras scattered amongst the plethora of polish in my bedroom! Yes it's all a bit of a mess but oh such a pretty, sparkly mess! =D Because honestly, I just love anything related to beauty, nail polish AND makeup! When I started writing this blog a little over a year ago, I envisioned it being a blog that showcased my love of both nail polish AND makeup. Somehow, maybe because I made more connections in the nail polish world or maybe I was struck with a very uncharacteristic bout of shyness, ColorSutraa became primarily focused on polish. While I absolutely love polish and will continue to focus on polish, I would also like to introduce some of my favorite cosmetic and beauty products! And today, I'd like to ease us both into this by posting my very first lippie review! During my recent humongous blogaversary giveaway, I was blessed with not only the opportunity to celebrate with some of my favorite indie makers but I was also fortunate enough to be introduced to a few lovely new friends! Among them is lovely Vanessa of Nessa's Naturals--not only did this sweet lady graciously participate in my blogaversary giveaway but she sent me a few samples from her shop to review for all of you! Take a look at the beautiful lippies she chose for me, from her Lip Lush collection! The Lip Lush collection, as with ALL Vanessa's products, are made with all-natural ingredients, with absolutely NO added chemical dyes or pigments. No harsh chemicals means these are safe for all ages and so much better for your skin, in the long-run. These lippies are amazingly creamy in texture, without be sticky or tacky and as you can see below, you don't have to sacrifice on color! It's like your favorite moisturizing lip balm but with the pigmentation of your favorite lipstick! The Lip Lushes are made with wholesome ingredients such as beeswax, candelilla wax, castor Oil, grapeseed Oil, Vitamin E with micas for color and flavor oils for scent and I love that all the ingredients are printed clearly on the front of each tube. You know EXACTLY what you're getting so there's no risk of unexpected allergic reactions later on! Overrated : "warm, intense red w/ red undertones"
Purple Passion : "intense violet saturation"
Tantrum : "a fiery orange w/ slight pink undertone"
Vino Vixen : "a blue-toned, wine red"
IMPRESSIONS : My favorite, hands down, is Vino Vixen, with Purple Passion coming in a close second. Overrated wears a little too orange on me for my liking but surprisingly, I didn't mind Tantrum at all--the pink undertone made Tantrum a bit more coral than true orange which I really liked! So there you have it, my darlings! My very first lippie review for Nessa's Naturals! If you need to add any of these to YOUR arsenal, you can find them at Nessa's Naturals' shop HERE, for the price of $10 for a full-size tube. Remember to follow Nessa's Naturals on FACEBOOK and on INSTAGRAM to check out more of her products! EDITED : Ack! 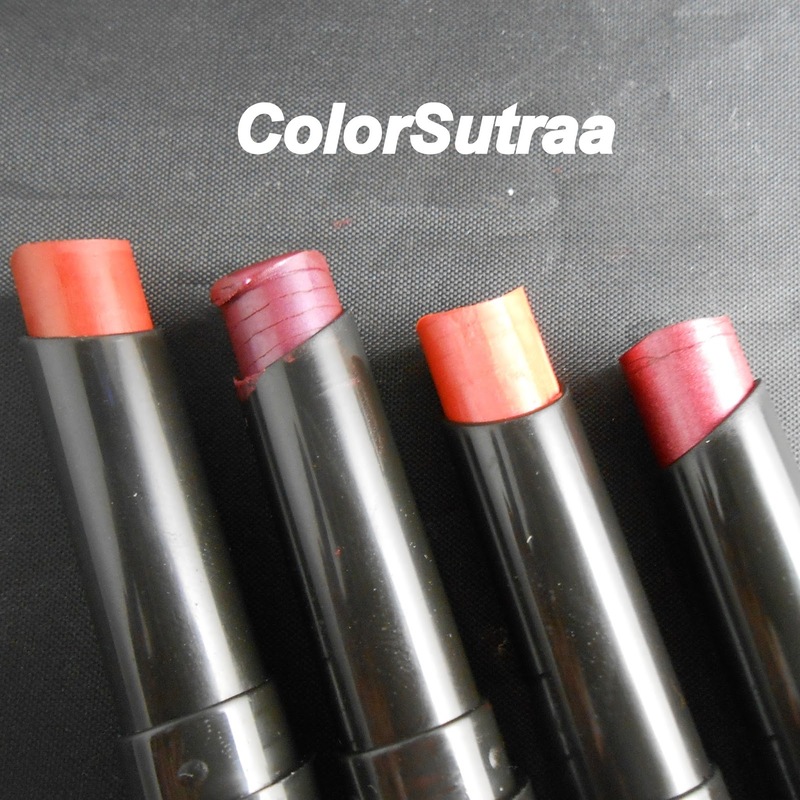 I forgot to include the special discount code Vanessa generated just for ColorSutraa's readers! 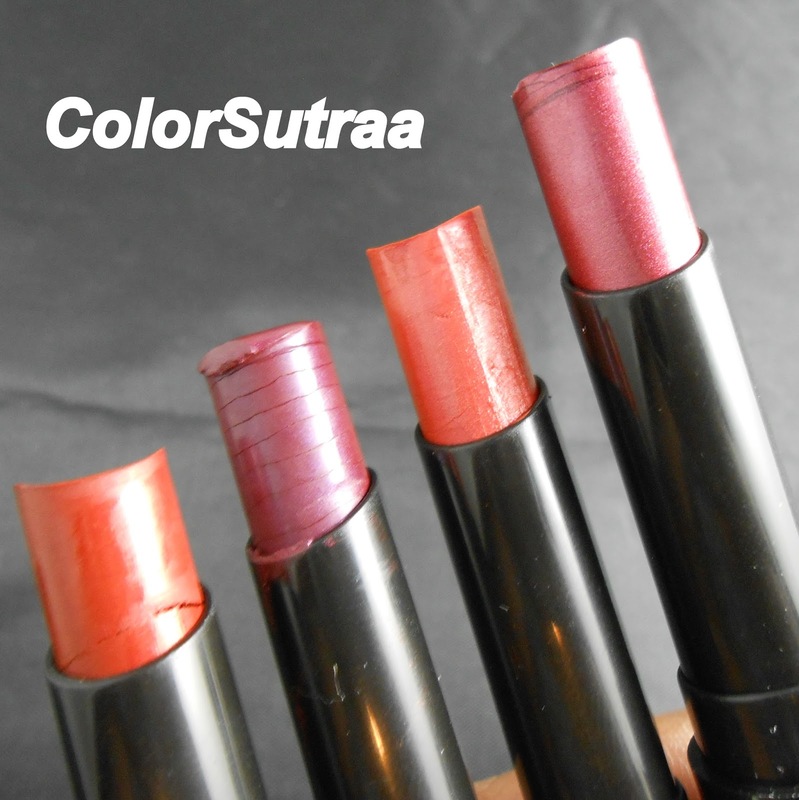 Enter code COLORSUTRAA10 for 10% off your order of any regularly priced item(s) in her shop! Valid until May 31st, 2014. Which of these do YOU like best? As always, I would love to hear from you! I feel like I'd be able to form an opinion on these if I were to see them swatched on lips rather that just on a hand. Maybe next time! Thanks for the feedback, I'll definitely take that into consideration.